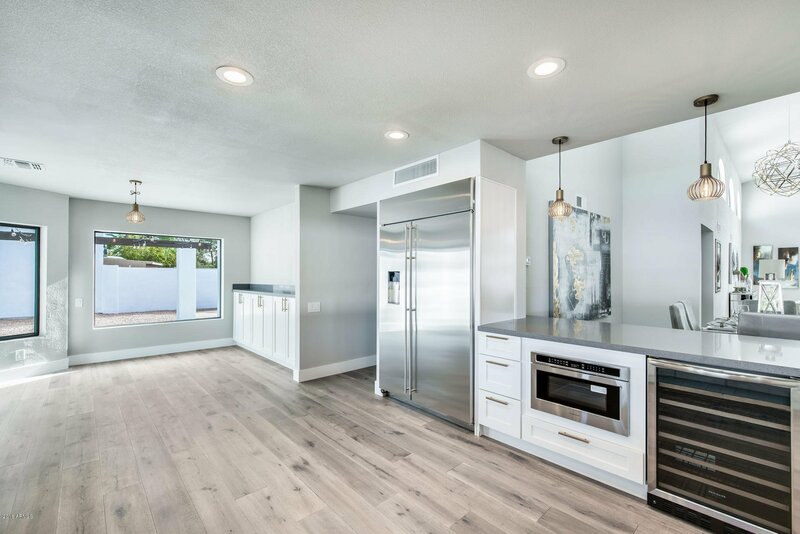 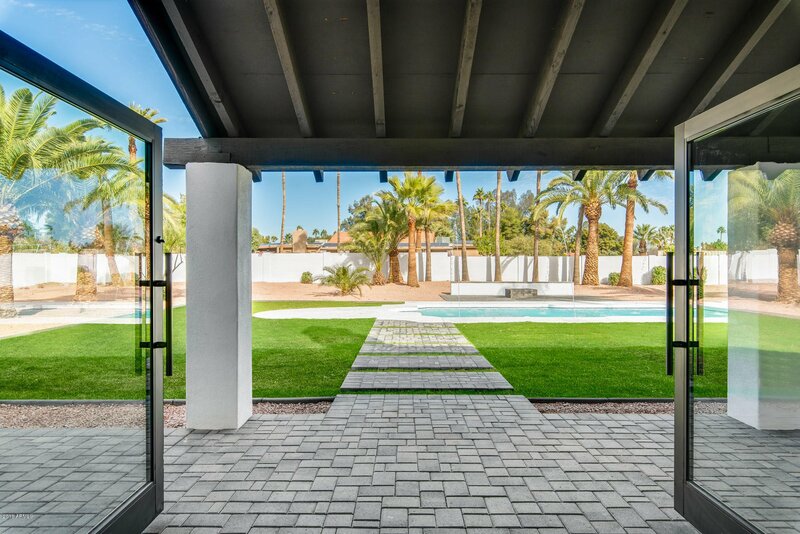 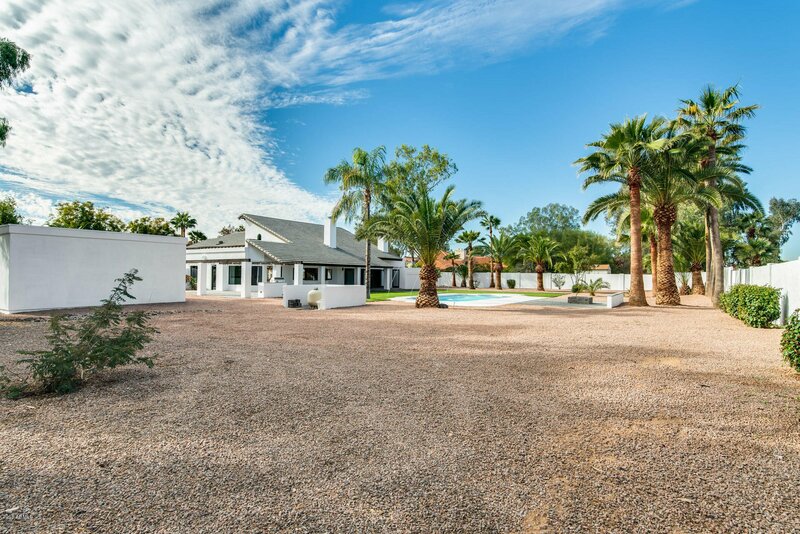 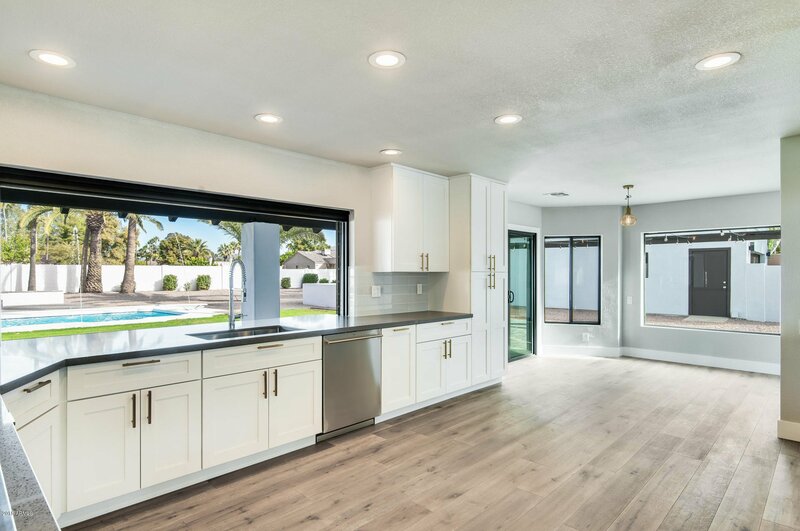 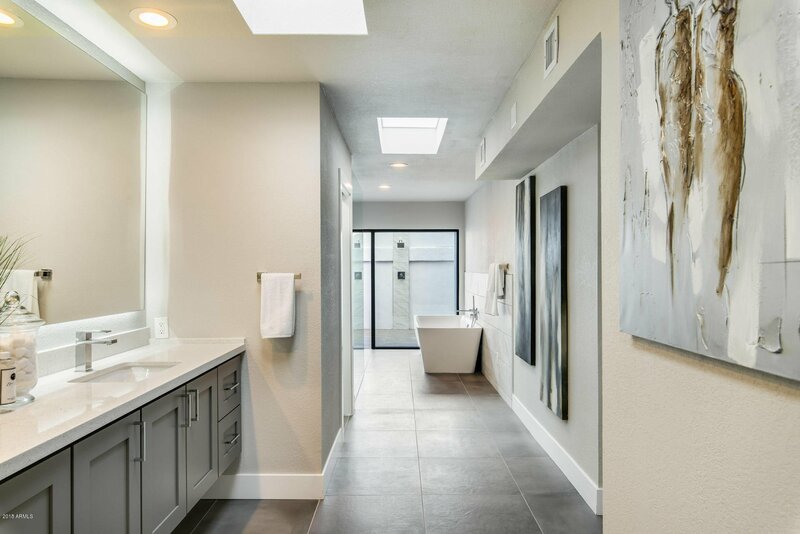 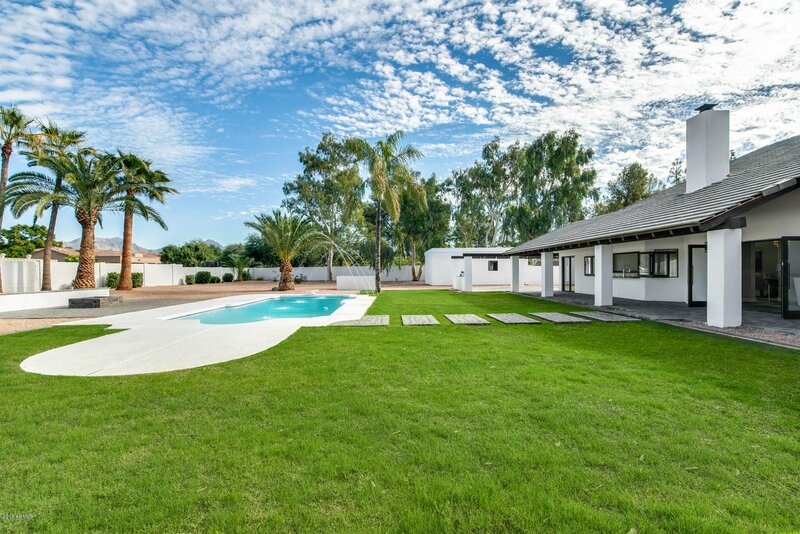 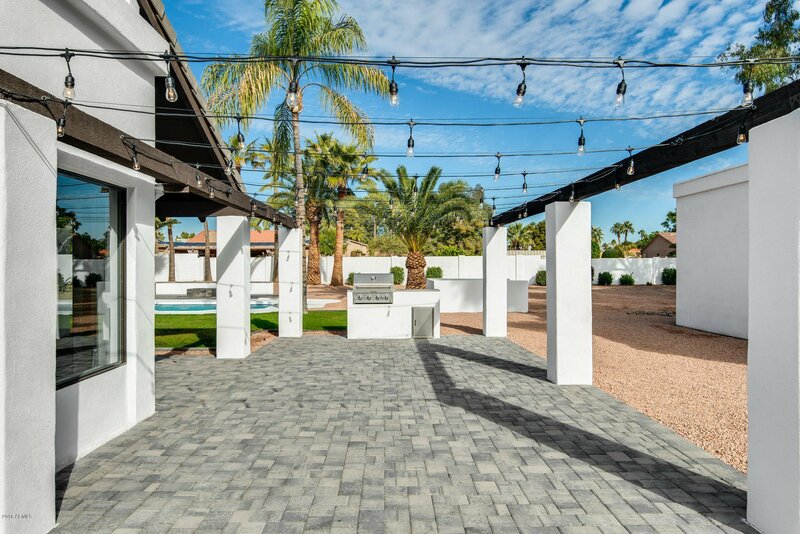 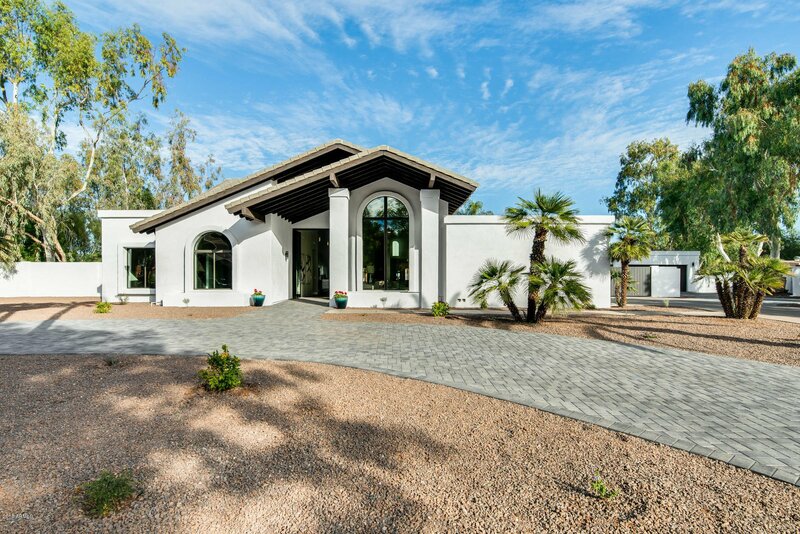 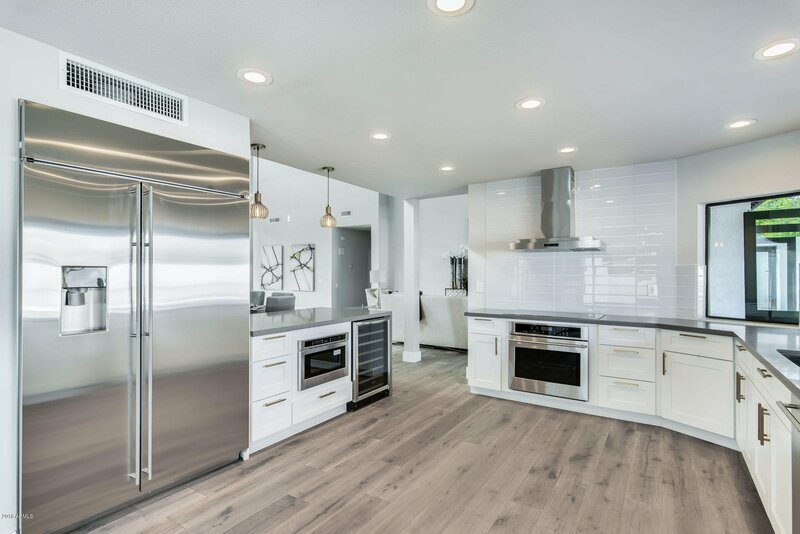 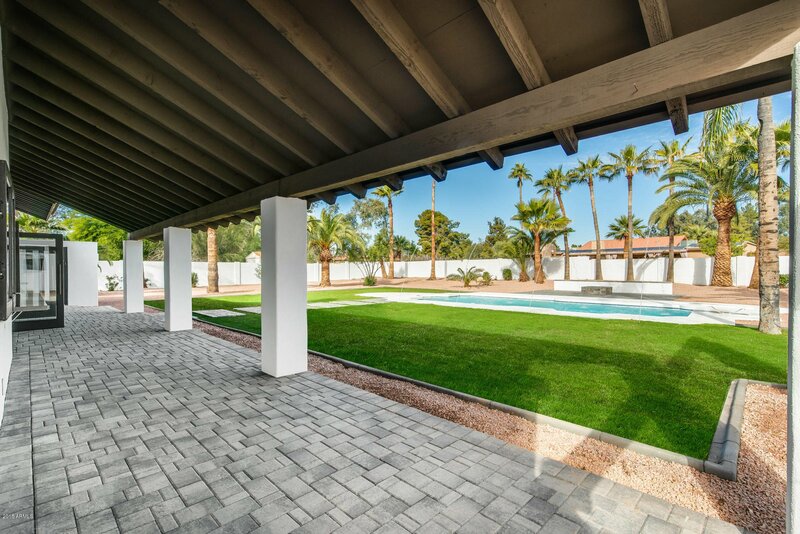 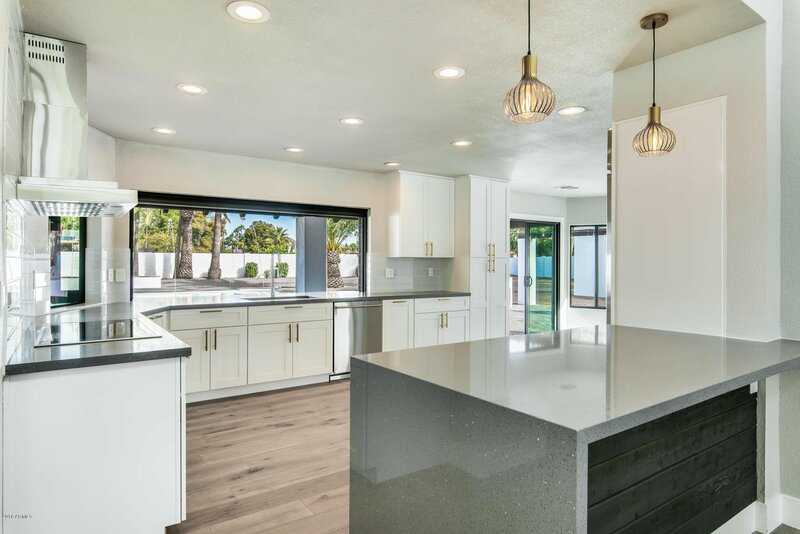 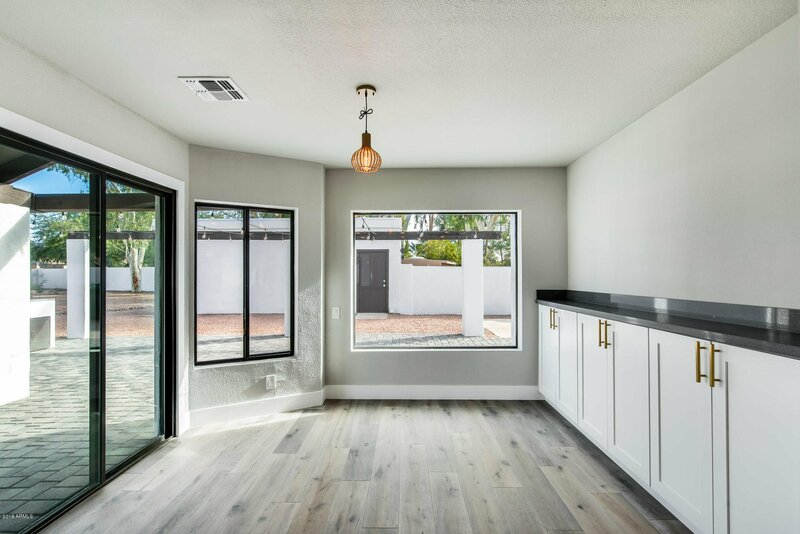 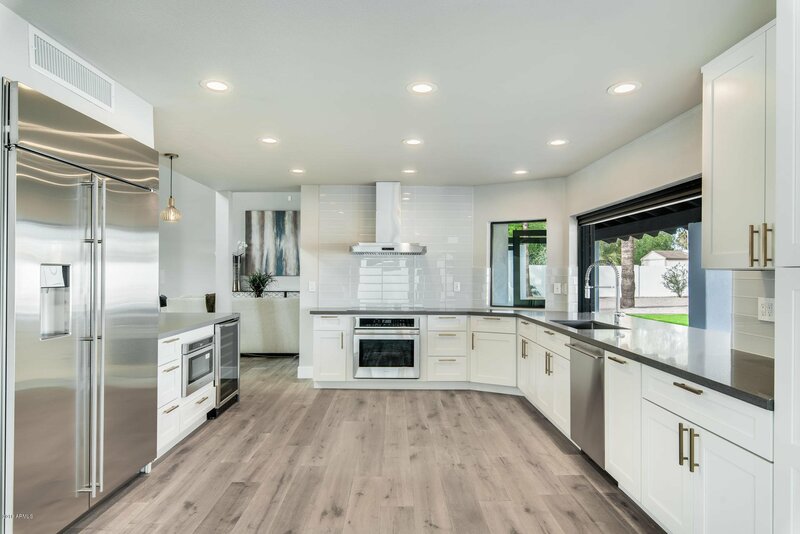 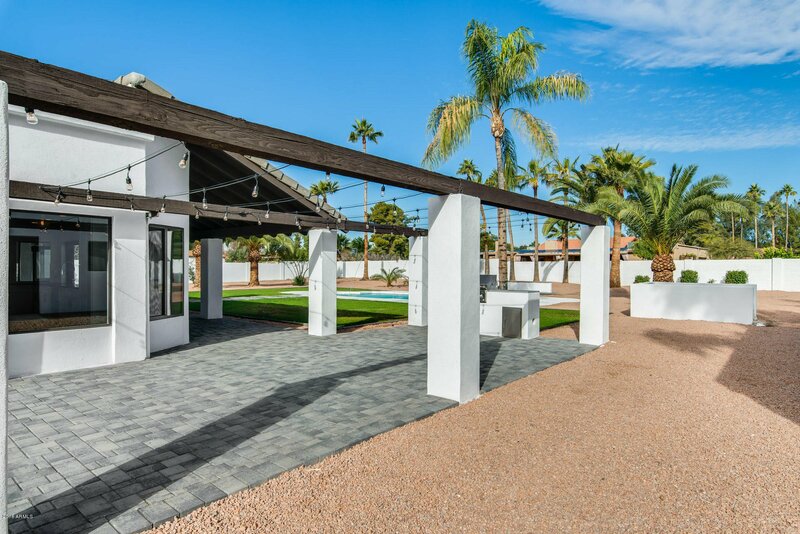 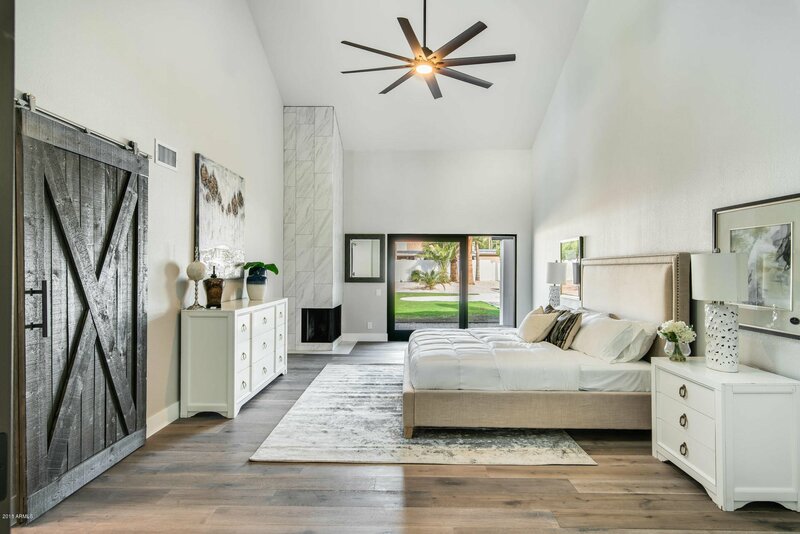 Absolutely stunning remodel in the desirable Sunrise Estates in north Scottsdale. 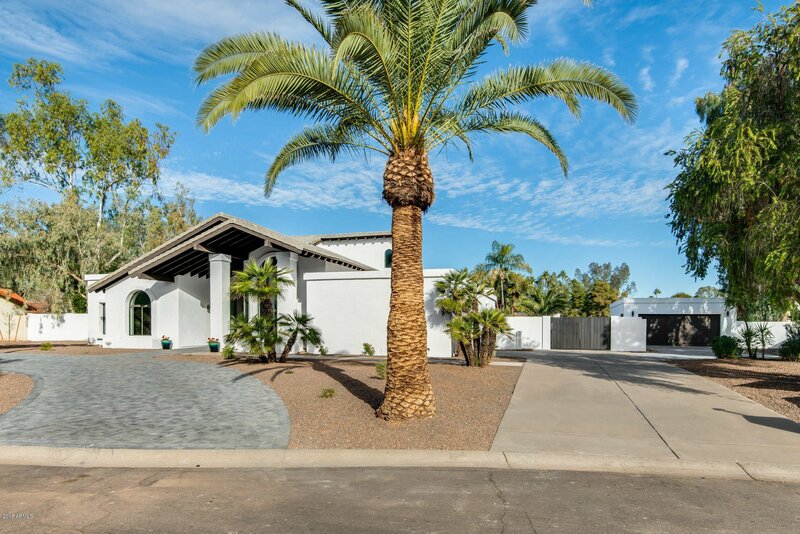 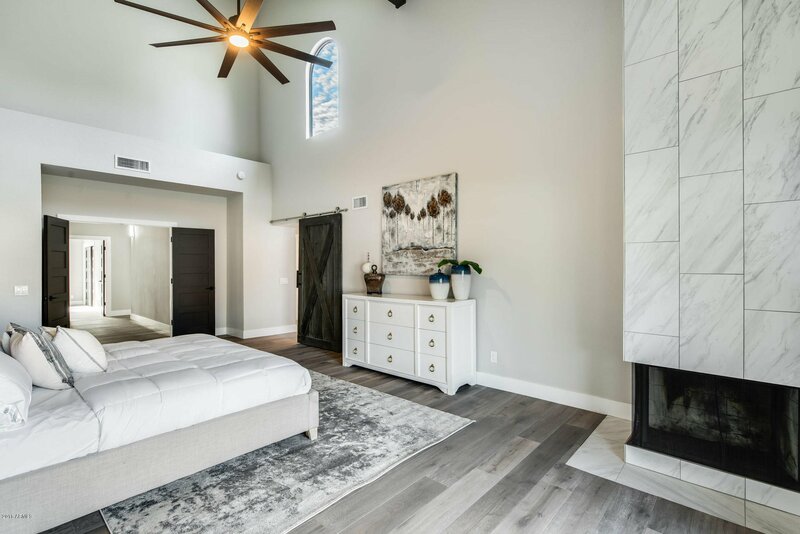 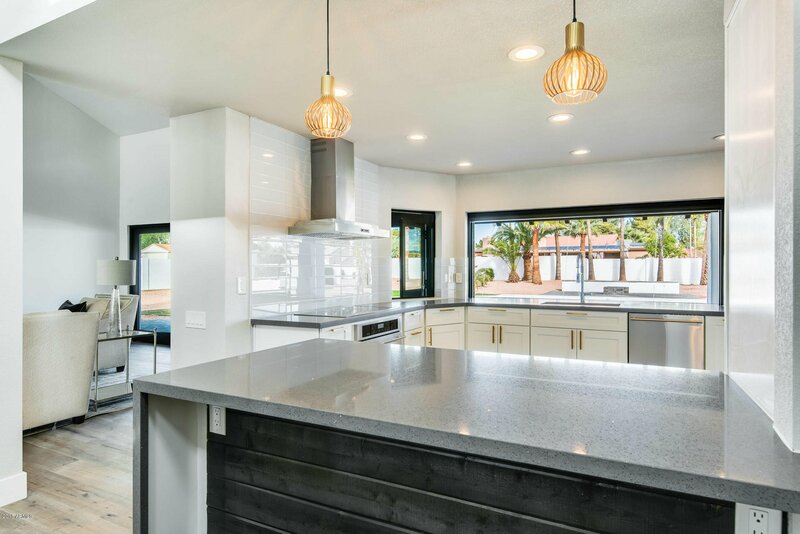 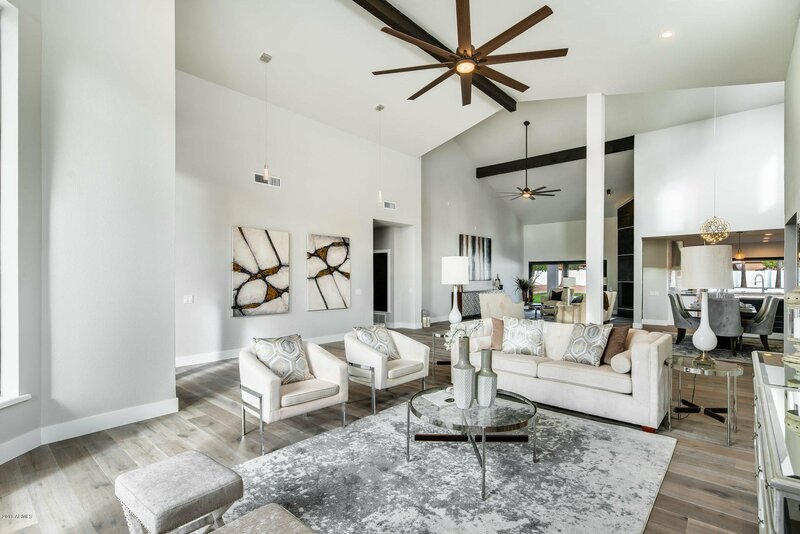 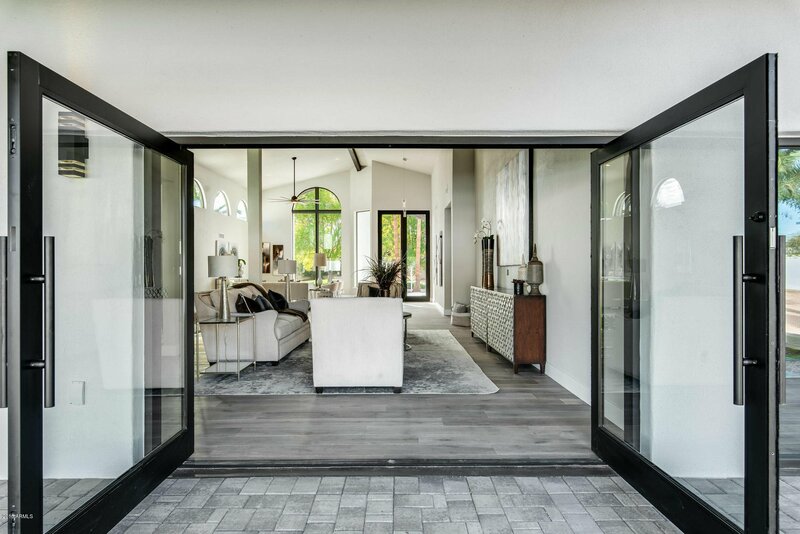 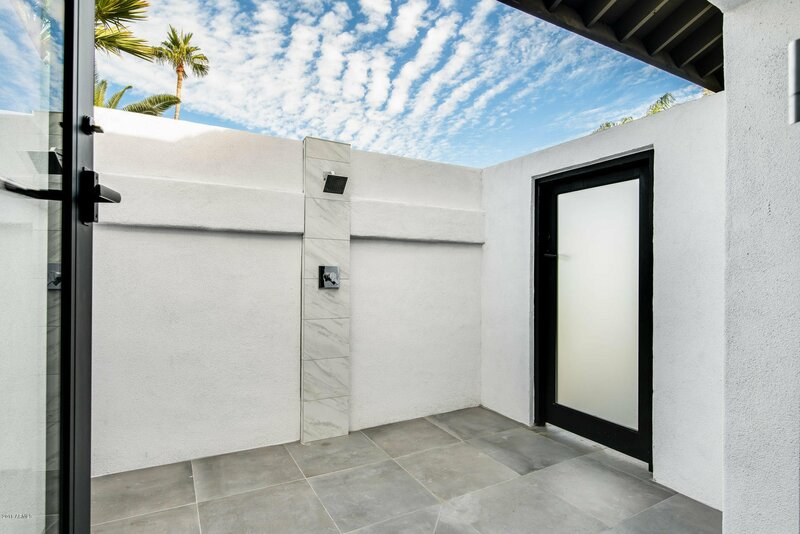 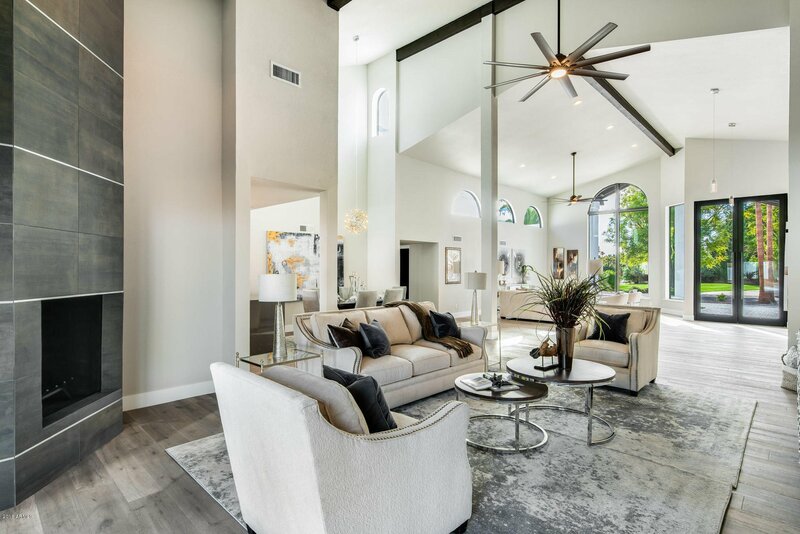 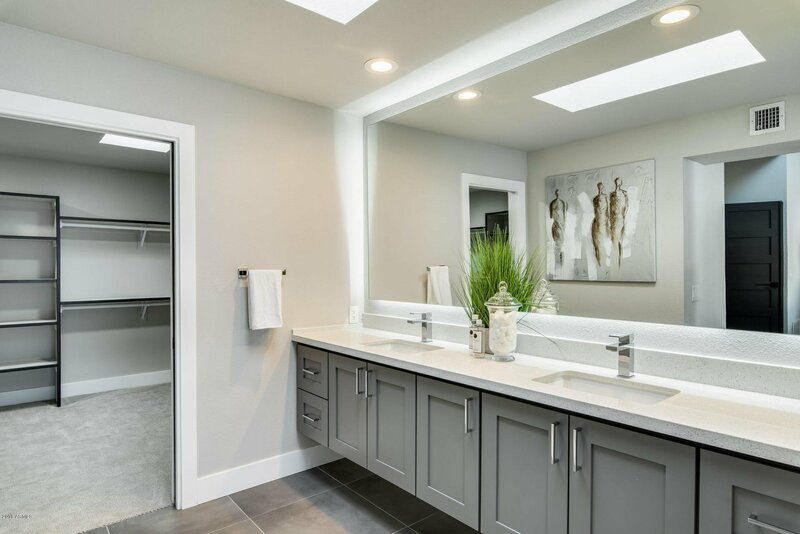 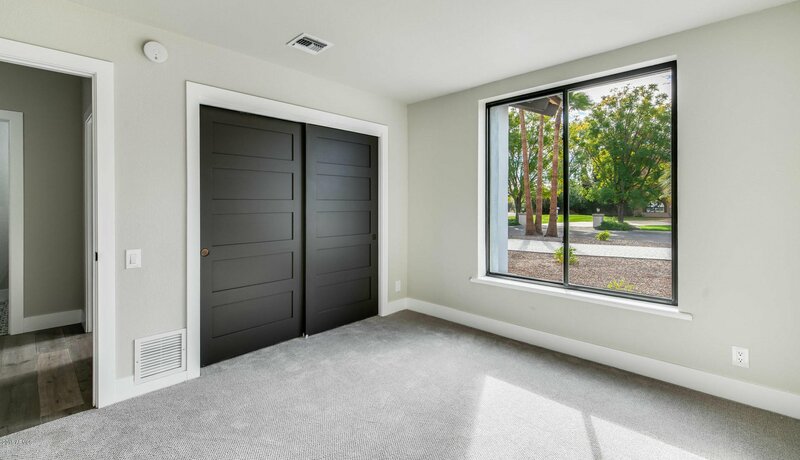 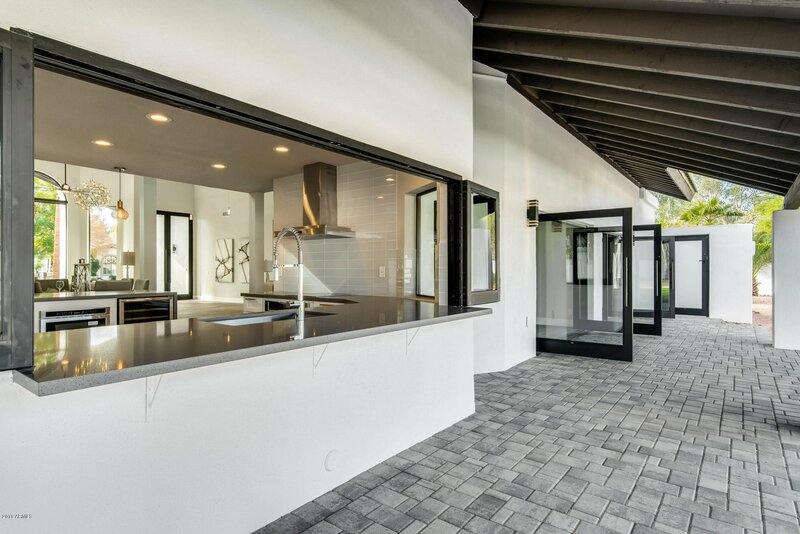 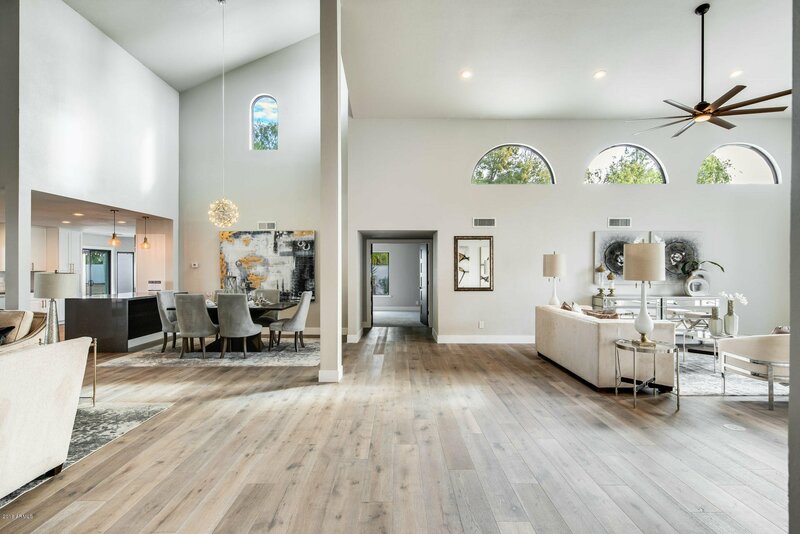 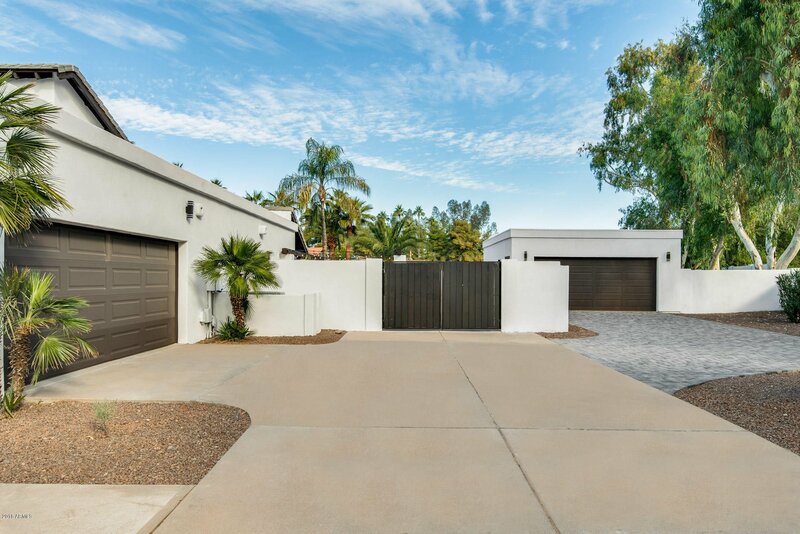 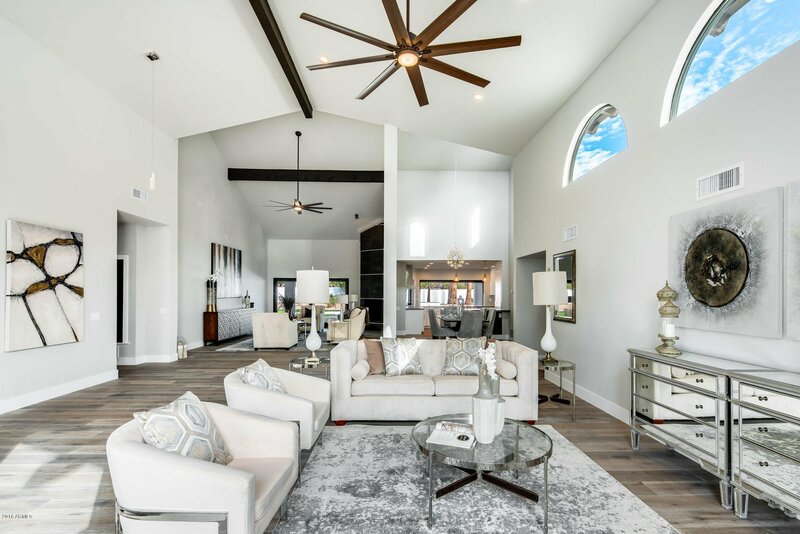 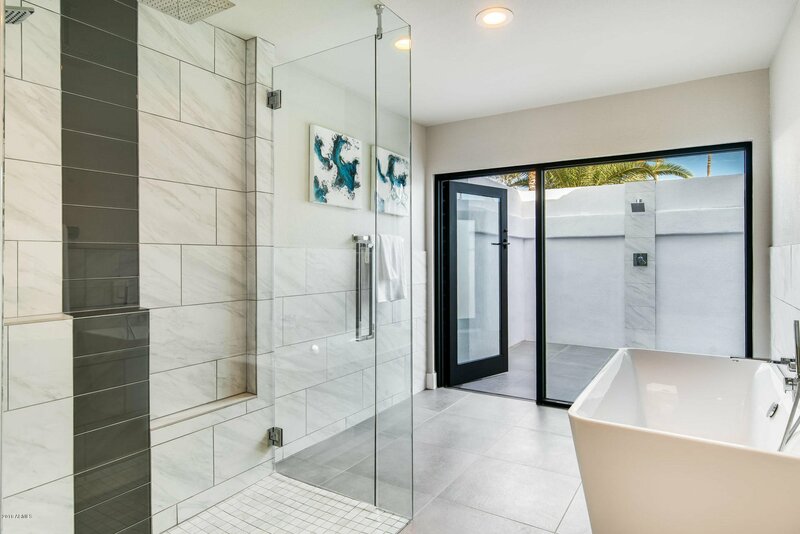 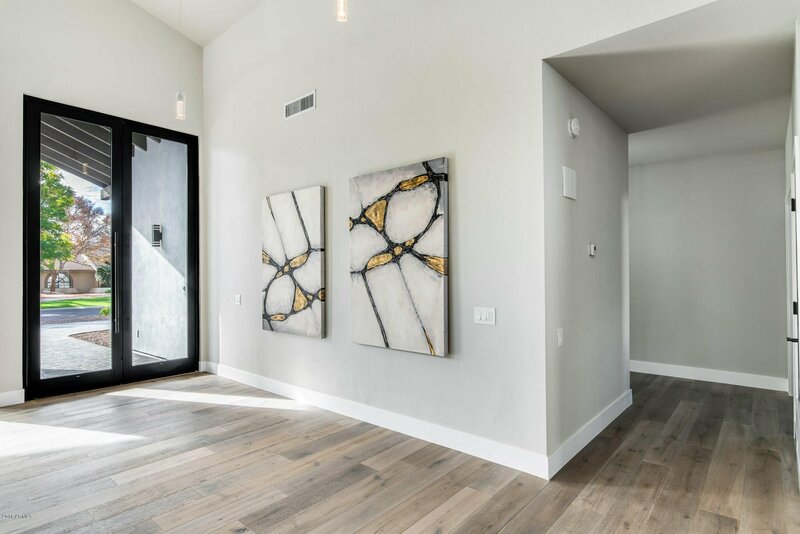 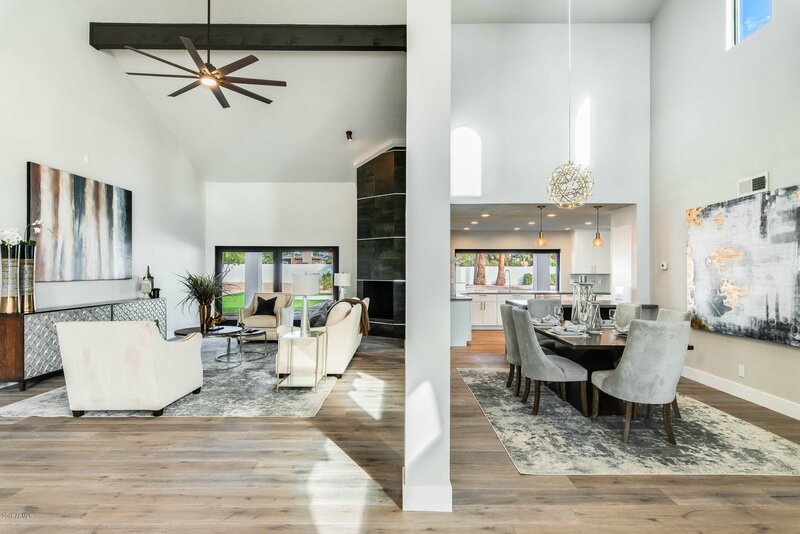 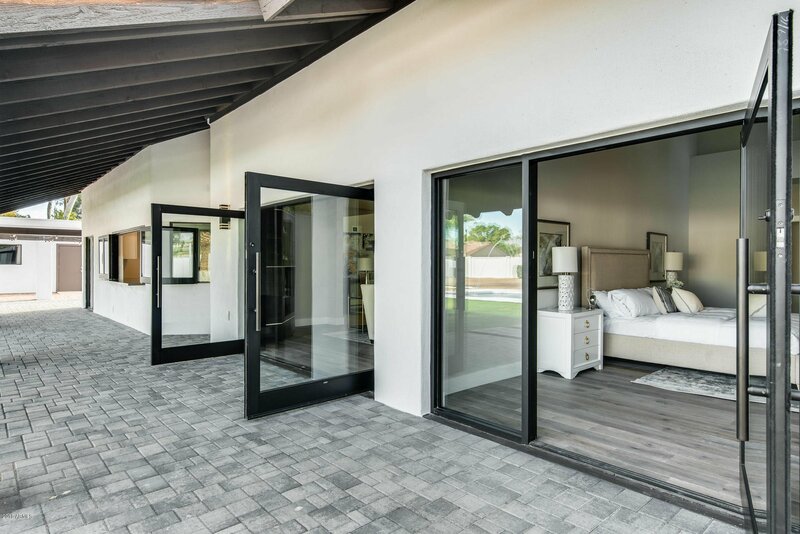 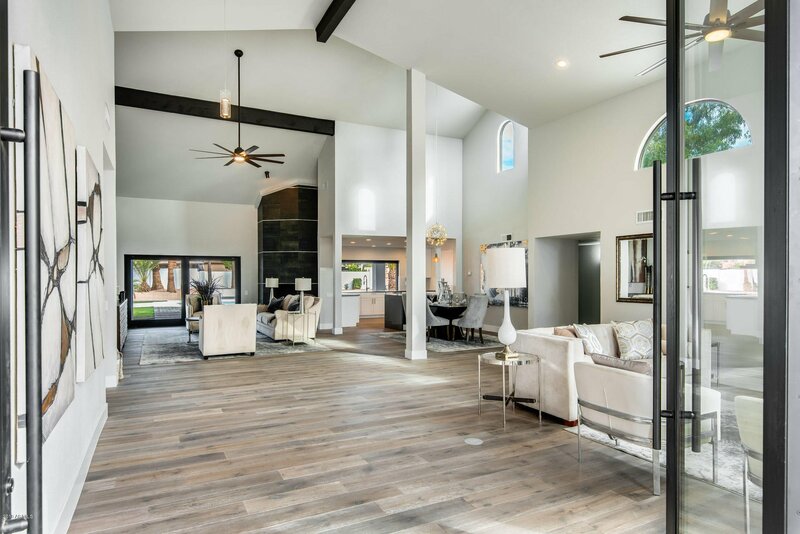 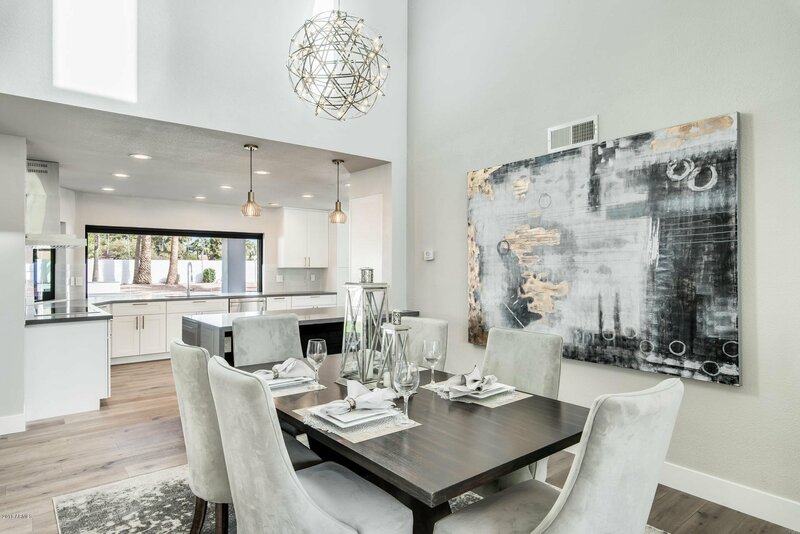 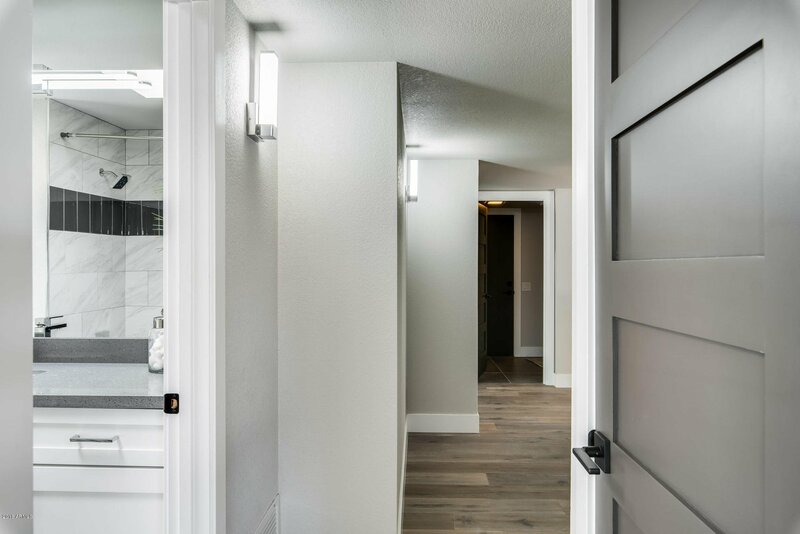 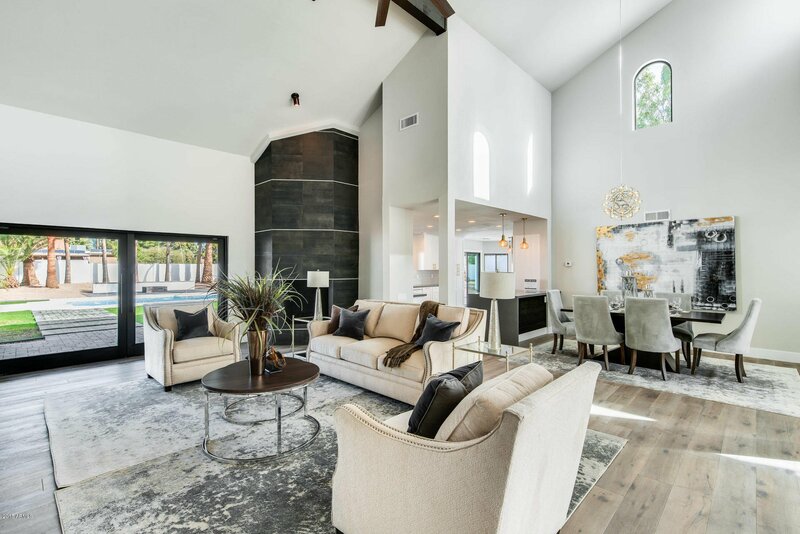 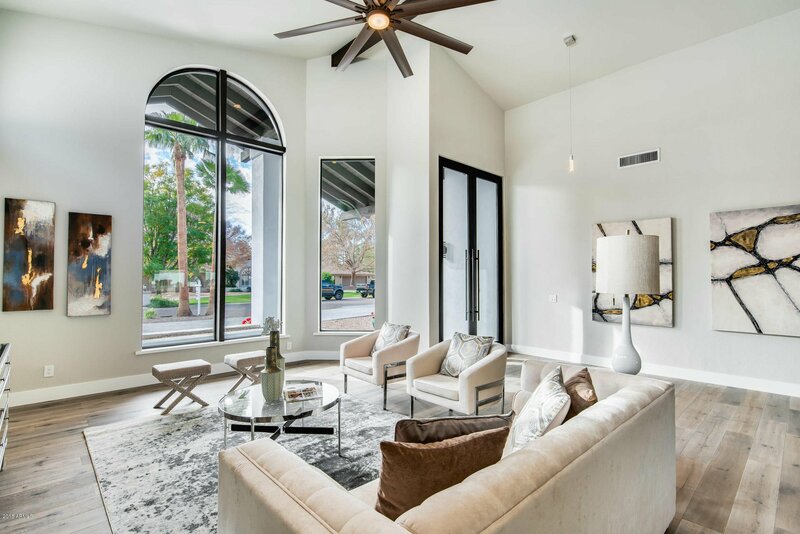 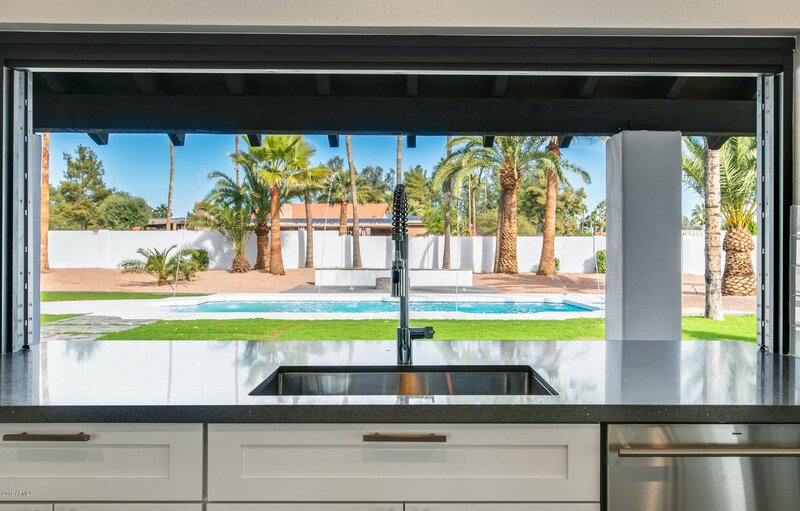 This transitional/contemporary home sits on a 3/4 acre north/south lot, and has been meticulously renovated with the highest quality luxury finishes and amenities. 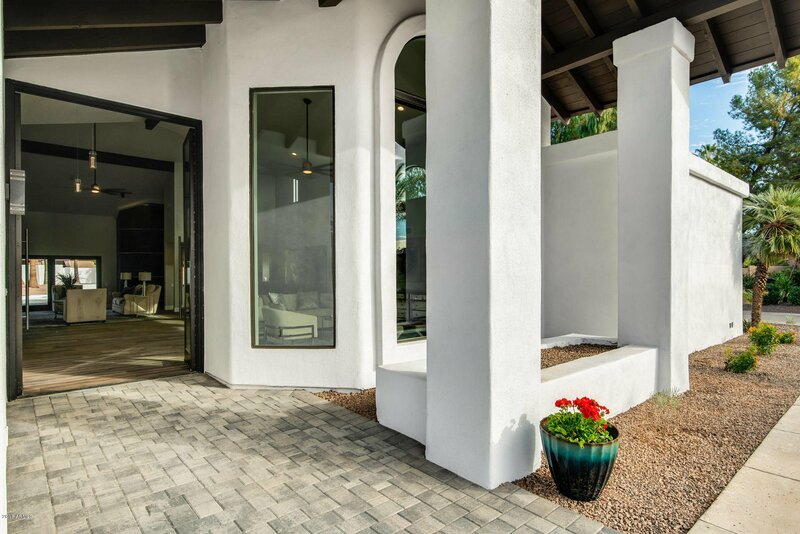 These include wood plank flooring, commercial grade pivot steel doors, custom bathroom quartz counter tops, floating bathroom vanities, master bath free standing soaking tub, master bath accessible outdoor pool shower, LED backlit custom master bath mirror, GE Monogram stainless steel appliances - including a 42'' commercial fridge, a custom pass through kitchen window, Moen motion sensor industrial kitchen faucet, quartz waterfall counter top peninsula breakfast bar, LED lighting throughout, 72'' ceiling fans, outdoor entertainment area that includes a built-in BBQ and bistro-style ramada with accent lighting, sparkling pool with deck jets water feature, large masonry fire pit with sitting area and paver deck/patio area, large covered paver patio, separate two car garage/workshop and so much more! 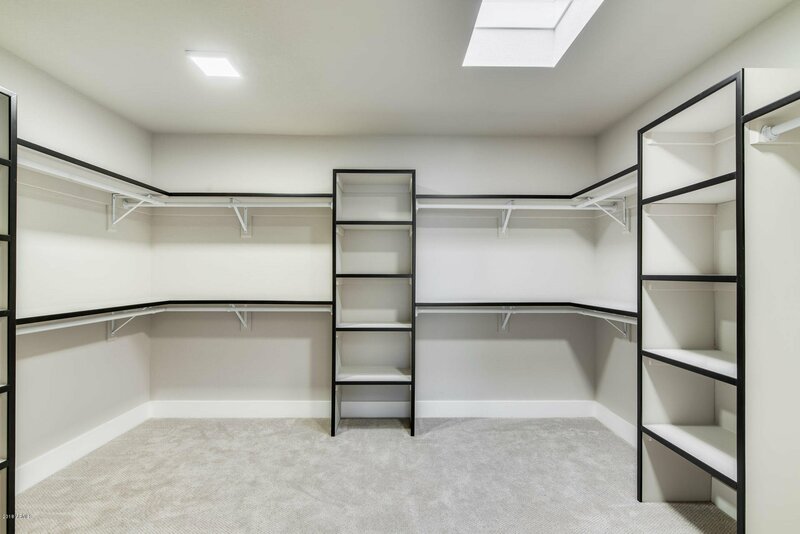 (Upgrade list available upon request). 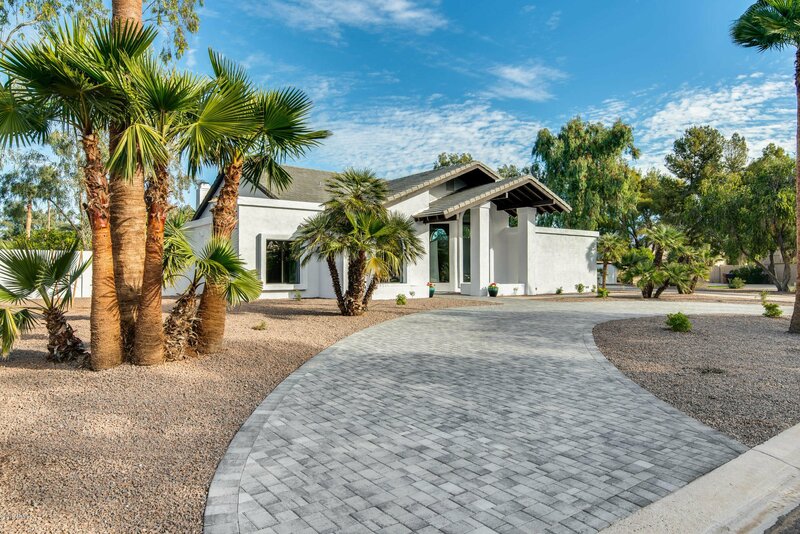 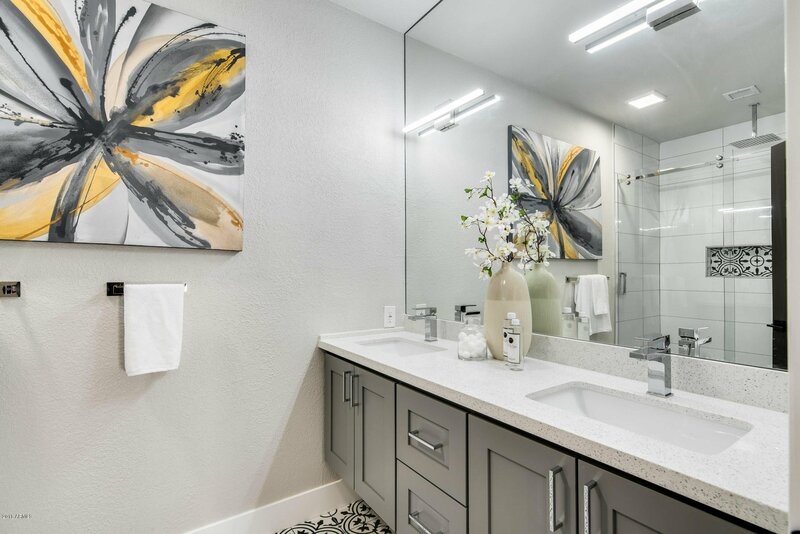 If you are still looking for the perfect home in the Cactus/Hayden area...look no more. 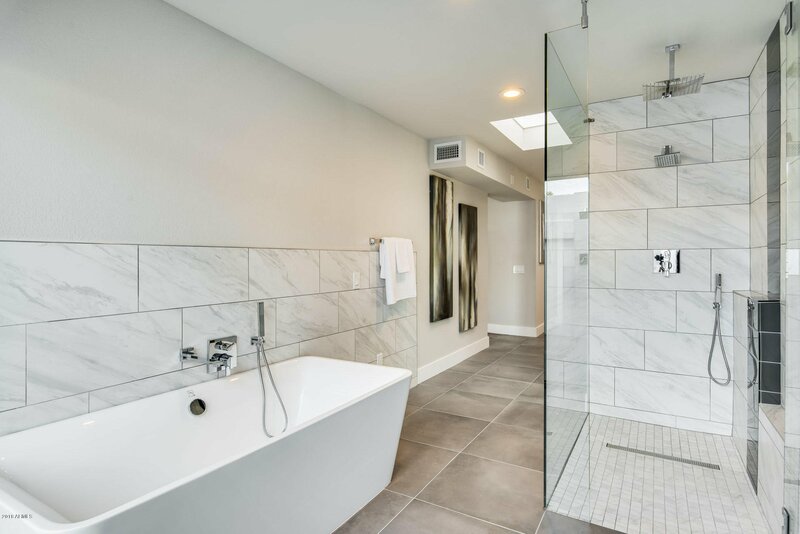 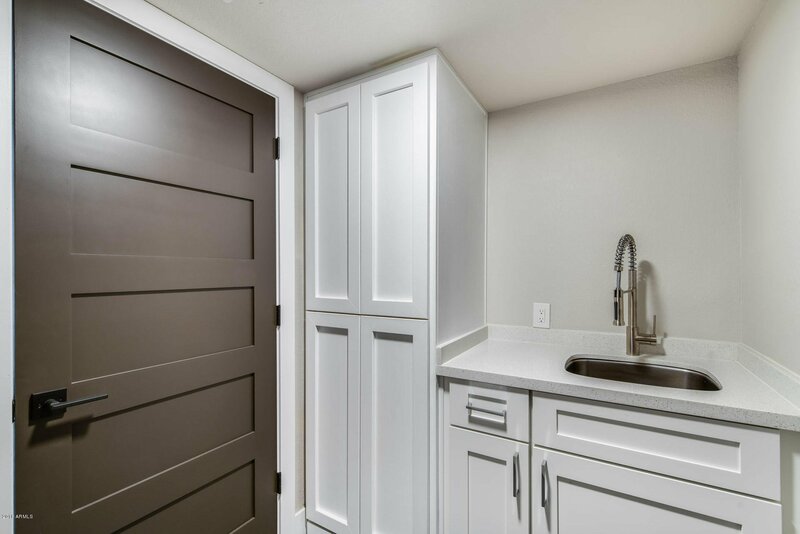 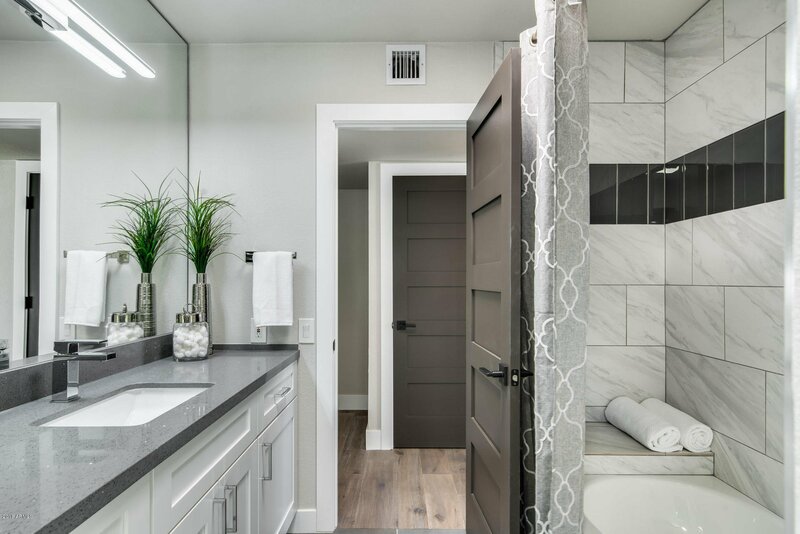 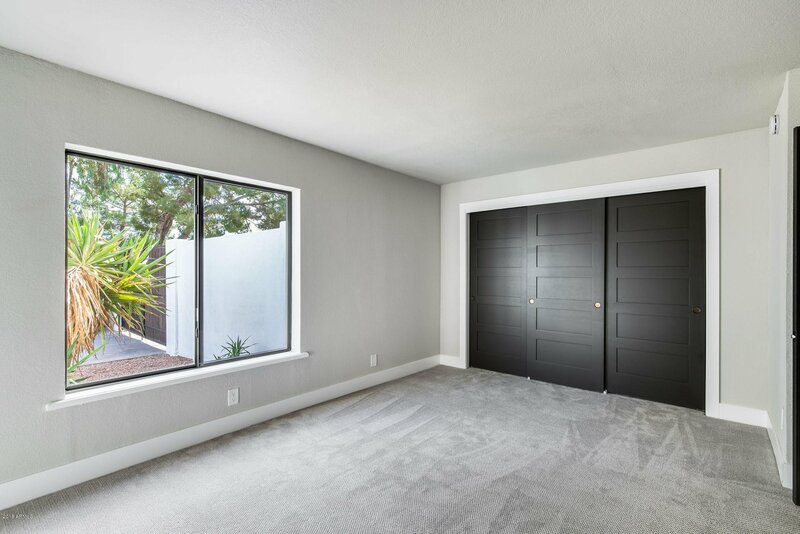 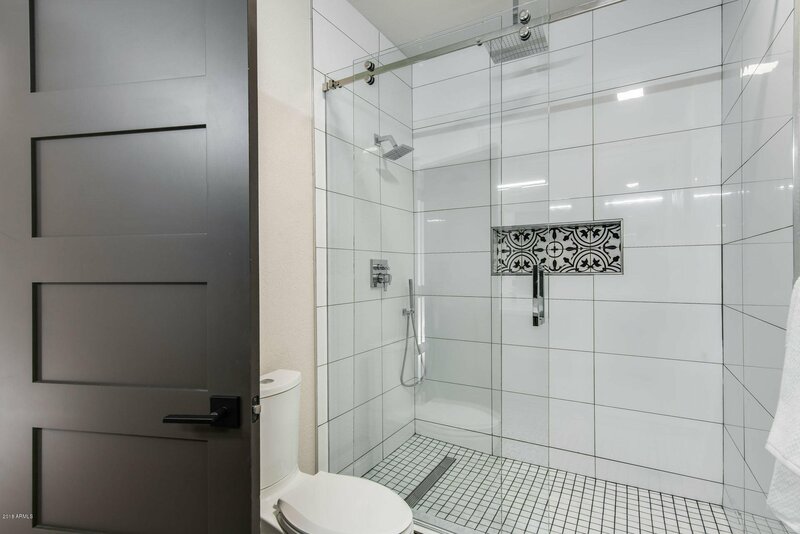 All of the work has been done by a licensed general contractor, and it shows. 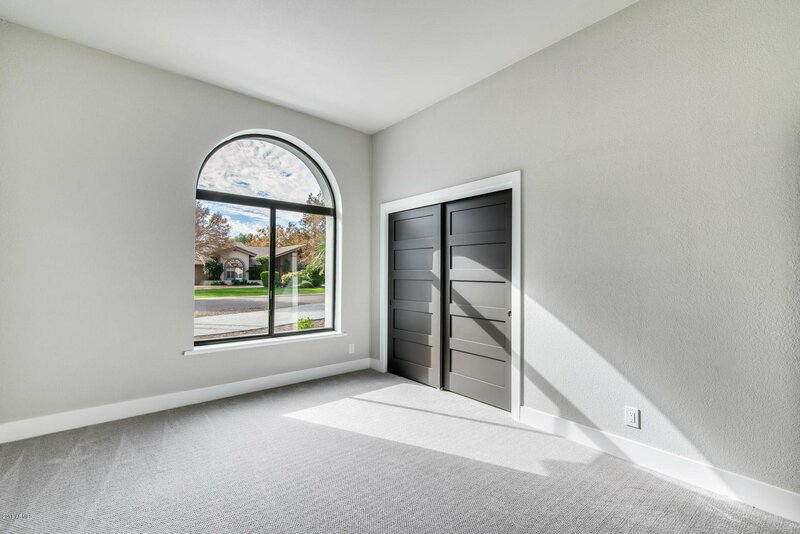 All facts, figures and measurements are approximate, subject to change without notice and not guaranteed by listing agents/company or seller.